Luxury hotels around the world vie with each other for a Unique Selling Point that differentiates them from the rest of the very luxurious herd. Well, the Renaissance Aruba Resort and Casino has an ace up its highly-coutured sleeve. 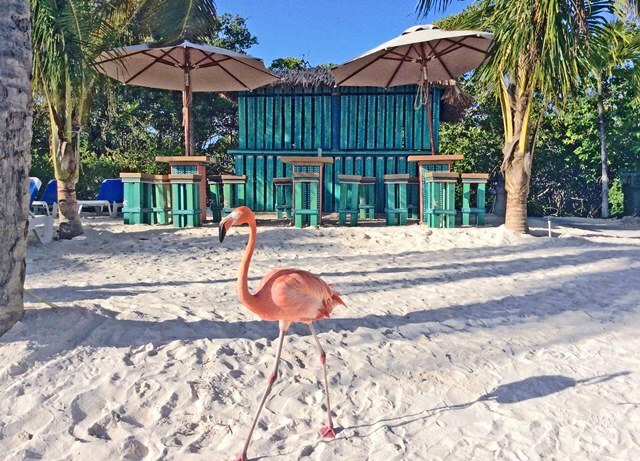 Its very own private island … with its very own flock of flamingos. 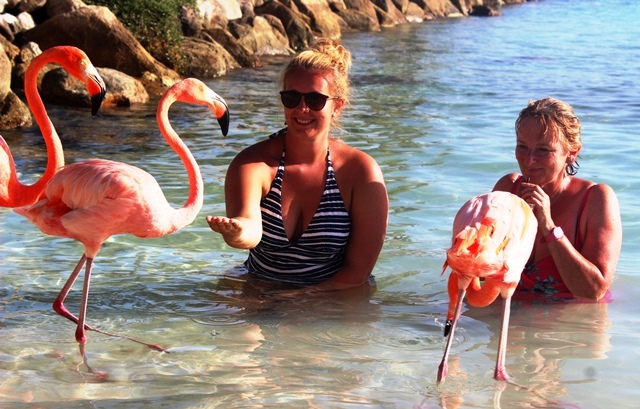 And Flamingo Beach on Renaissance Island is adults-only so the kiddies don’t pester the birds. I have been fortunate to stay in some of the loveliest hotels in the world but this one tops them all for sheer gorgeousness with a quirky twist. There is something delightfully bonkers about flamingos. With their spindly legs, sinuous necks, hooked beaks, salmon pink plumage and weird yellow eyes, they look like something designed by Salvador Dali. 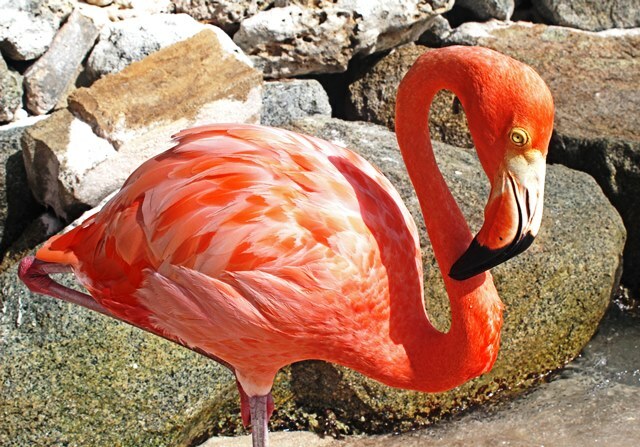 I first remember seeing a picture of a flamingo in Lewis Carrol’s surreal story, Alice’s Adventures in Wonderland; she had a large flamingo tucked under her arm. It was looking understandably cross as she was using it a croquet mallet. 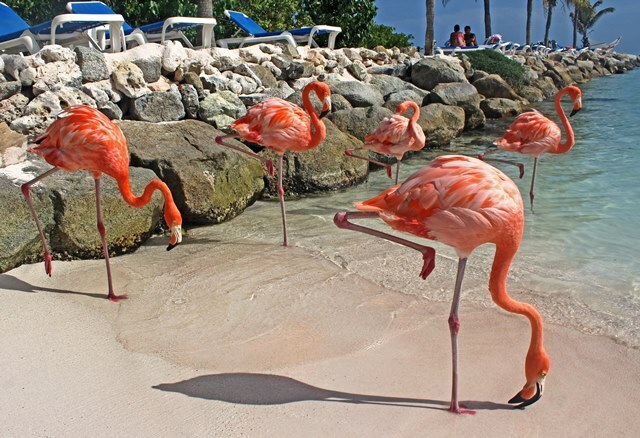 I’ve seen them in zoos but never, until a truly memorable holiday in Aruba, had I seen them in their natural habitat. 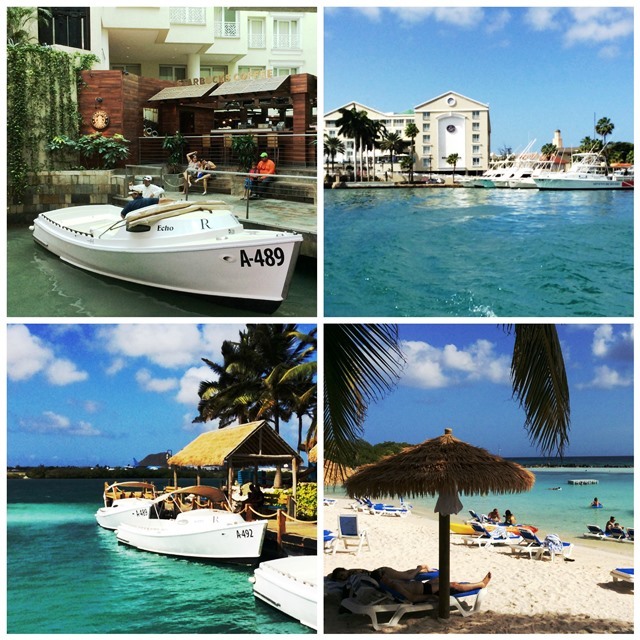 Renaissance Aruba has two hotels on Aruba; I stayed in the adults-only Renaissance Marina Hotel in downtown Ornajestad, the island’s capital. The Renaissance Ocean Suites across the road, has comfortable suites perfect for families or couples. 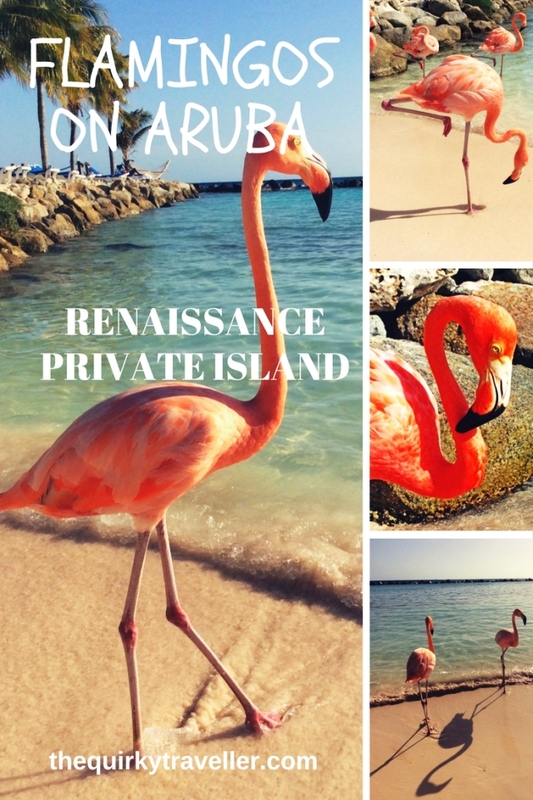 Both hotels have access to Renaissance Aruba Private Island via the hotel launch which runs regularly from morning to evening. It’s a real treat to step onto the boat INSIDE the Marina Hotel lobby, emerge into the Caribbean sunshine, pootle past the millionaire’s yachts to the Ocean Suites to pick up more guests then whizz across your every own private island. Renaissance Island offers a range of water sport activities, beach-tennis courts and a fitness facility. You can even watch the planes land at Aruba Airport opposite. The 40-acre island has mangroves all around and a nature reserve at one end. I saw lots of iguanas including a bright blue bobby-dazzler and a friendly pelican perched very close to my hammock one day. Want to see the flamingos up close – and quaffing a cocktail? Here you go! Special thanks to our host Amayra Boekhoudt, who looked after us on behalf of Aruba Tourism. If you’d like to find out more, visit Aruba website and follow their hashtags #discoveraruba and #onehappyisland on Social Media. 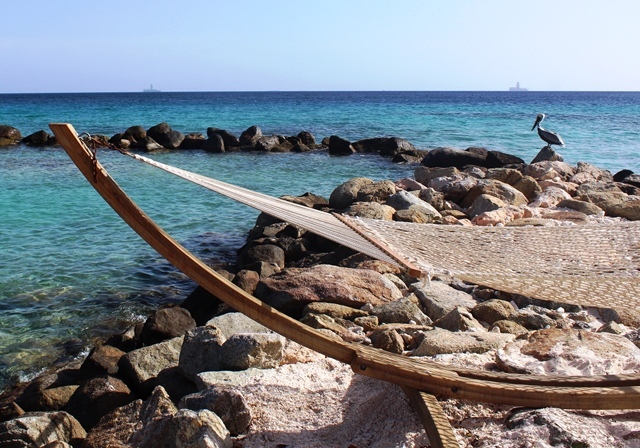 I’ve only been to the Caribbean twice (St Kitts and Aruba) and this island tops my list of ultimate luxury experiences! 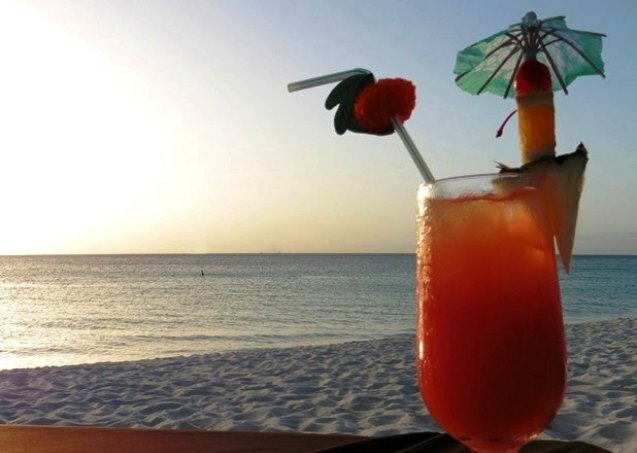 Ah yes, the boozy flamingo was a real hit 😉 Aruba’s a real party island so lots to do there – quite the opposite of St Kitts which is very unspoilt and low key http://www.thequirkytraveller.com/2014/10/top-10-things-to-do-in-st-kitts Hope you return to Aruba to see those flamingos!